As if the fine art for sale isn’t enough to take in, the setting itself is worth the visit to the gallery on Lake Tern. The headquarters of the National Sculptors’ Guild and Columbine Gallery are housed in a building that is an artistic and sculptural statement. The bold roof lines show off the complexity of the design and an uncommon silhouette of the structure. Inspired by its location, the building features five balconies that embrace the grandeur of the Rocky Mountains as well as the intimate inlets along the shore of the lake it embraces. The building’s designer, Eric David Calvin states: “Loveland, Colorado is where I achieved my best architectural goals, your building being one of the best.” The building is surrounded by The National Sculptor’s Guild Sculpture Garden designed by John Kinkade. The garden features brilliant color in both flowers and foliage from spring to fall where over sculptures are place in naturalized settings. Walls, stone ledges, canopies and meandering paths have been designed to showcase the art on display. The creative open floor plan of the interior floor plan adeptly displays works of art by more than 50 artists. Special attention has further been paid to the gallery’s salons and offices via an eclectic collection of designer furnishings including Barbara Berry, John Widdicomb, and Eames mixed with Art Deco, Asian and Victorian antiques. Persian rugs adorn the floors. “Pertaining to your request, the following is a condensed history of my inspired and motivated architectural design background and achievements, and it's perhaps more than you were hoping for or needed. My interest in architecture began near the Los Angeles, Ca. area before I was old enough to drive. My Father took note of my interests and took me to see several architectural projects designed by Frank Lloyd Wright in and near the L.A. area. On such trips, I took photos of the houses and commercial buildings and had enlarged copies made that I kept for years. 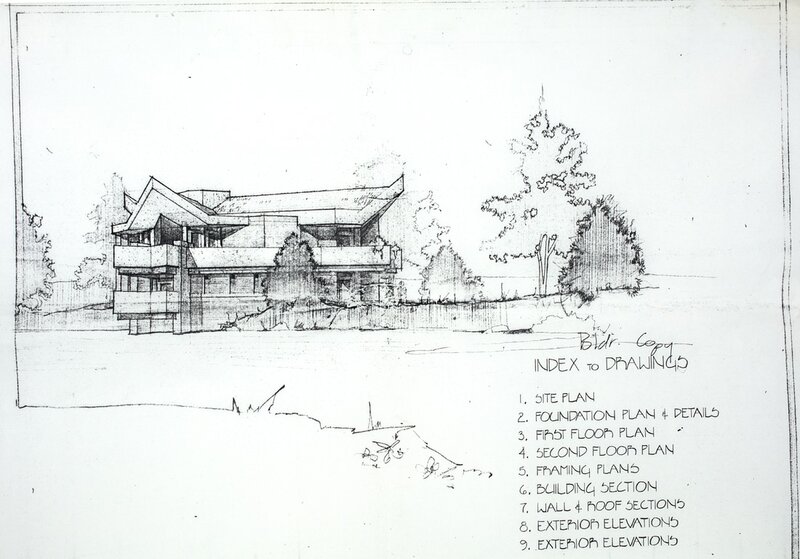 I was so inspired by what I saw firsthand, and as an artistically talented youth, those Frank Lloyd Wright projects gave me the desire to pursue artistically related accomplishments. When the Korean war came about, I was sidetracked by having to be in the Air Force for 4 years. But when I got my honorable discharge, I went back to a college to hopefully fulfill the inspirations I still nourished by doing art work including oil paintings, some of which are still possessed by family. The college I went to was El Camino Community College in Manhattan Beach, Ca. where I grew up. The classes I took were math, design and history. I did very well in all the classes and exceptionally well in the design classes. In the design classes I kept getting triple A's on every design project, and in fact several students would come to my house for some more designing supervision and instructions so that they would hopefully get better grades. The two design teachers could both see that I was helping some of the design students do improved design work. Both teachers pointed this out in one of the classes. 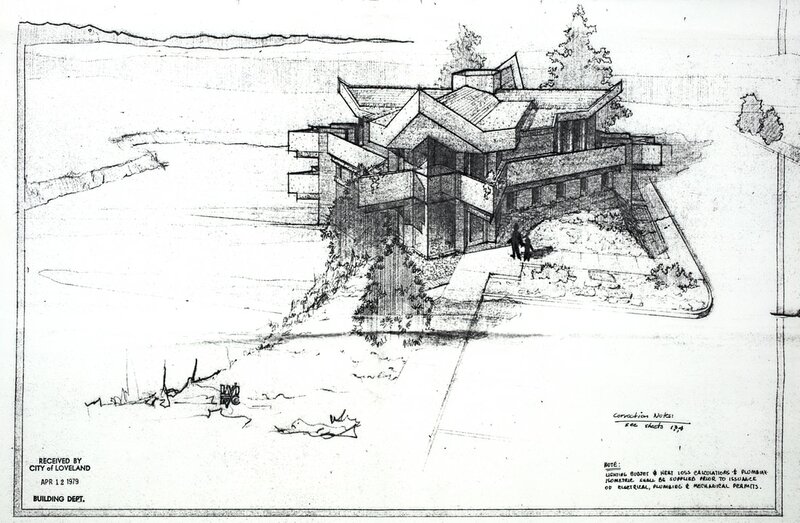 At the end of two years, both teachers recommended that I should go to the Frank Lloyd Wright Foundation and pursue architecture, as I had made it known many times that architecture was what I wanted to pursue. So, with my Father's support, I went to the FLW Foundation in Arizona to apply. I was immediately accepted when I showed all the photos of the architecture I had taken when I was a youth. Thereafter, I studied at the Foundation for two years. From there, I was working in one architectural firm after another in several cities to have a much more expansive and credited resume. Finally, in Loveland, Co. is where I achieved my best architectural goals, your building being one of the best. As incredible as it may seem, I never took the test required to be an architect. I refused to take the test, because some of the required answers to some of the questions were outright lies. Consequently, I just couldn't approve of answering a question with false information on a legal document. So, thru all my years I have had to go by the term "Designer" legally. Fortunately, the term Designer didn't stop me from acquiring architectural projects legally in several cities and even in Germany where I worked two years just before moving to Loveland where I finally opened a design office named Terrestria. Come experience the space for yourself. Feed Your Creative Spirit.